This is LiberKey screenshots. 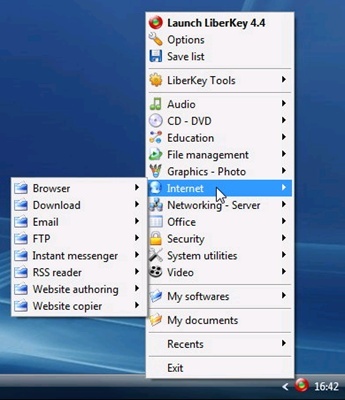 You can access the menu and softwares from the LibertyKey tray icon. 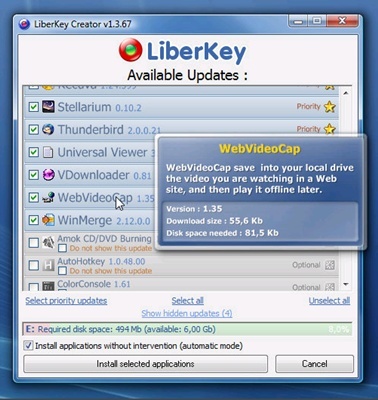 Using the LiberyKey Tools, you can associate the file extensions , back up the software settings, disconnect the USB drive, and etc. I think this individual software update screen is the best function of LiberyKey. Here are some other portable apps packages for you to check. Thanks so much for this – looks great as does your blog!